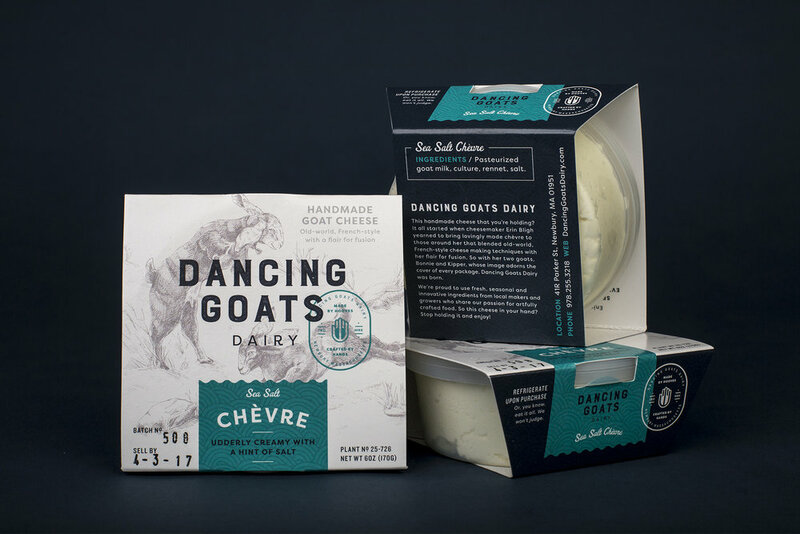 Project: The brand identity and package design created by Refinery 43 for Dancing Goats Dairy is a fresh, modern take on an old-world craft of French cheese making — a perfect representation of a young female cheese-maker looking to break into a senior male-dominated field. With the DGD brand, we took a personable, youthful approach to best tell her unique story. 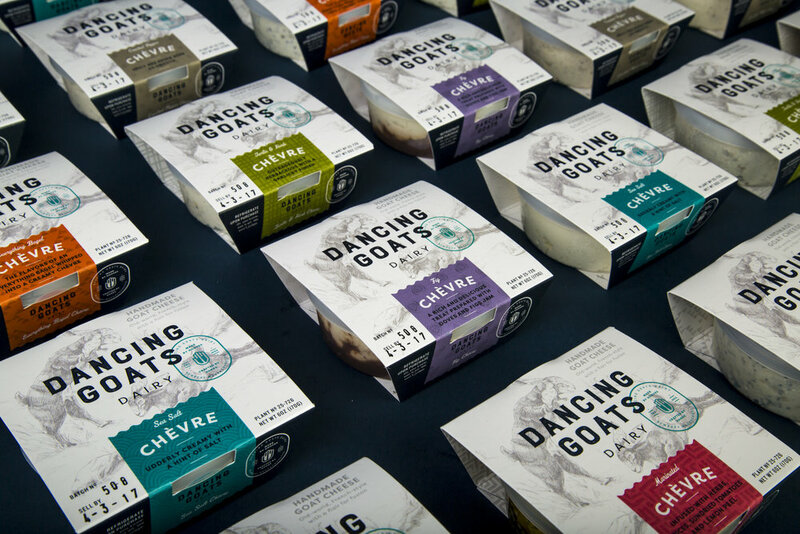 While the clean and playful package design execution helped to separate them from the rest of the herd.